Our expert team helped to improve communications for a growing company in Lancashire by installing network cables between their existing and newly acquired buildings with no trenching and minimal disruption. Serimax are Blackburn-based suppliers of advanced pipework joints coating services and systems to both onshore and offshore pipeline contractors. 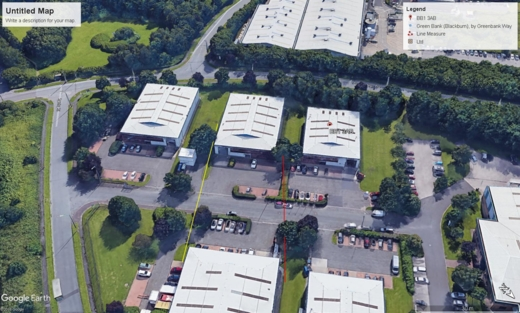 A growing company, they had expanded into a second building on their business park and were in need of improved network communications between the two. For network comms to be faster, more secure and consistently reliable, Serimax needed ethernet cabling to connect the systems between their existing and newly acquired buildings but didn’t want to dig up an existing car park and thoroughfare. Our surveyor looks at a site on google earth for route options for underground installation via directional drilling prior to attending site to meet client and walk through. We ordered utility plans and radar scans to assess what lies beneath and what depth clearance we would need for drilling. Once mobilised our team excavated neatly at each building and used our specialist machinery to directionally drill below ground to a depth of 3 meters, following the plotted route between the two points. We installed strong protective ducting to house the cables. Within 3 days the job was completed and the comms firm could install appropriate cables through the duct. We enabled Serimax to enjoy strong, reliable network communications, forget we were there and concentrate on growing their successful business!